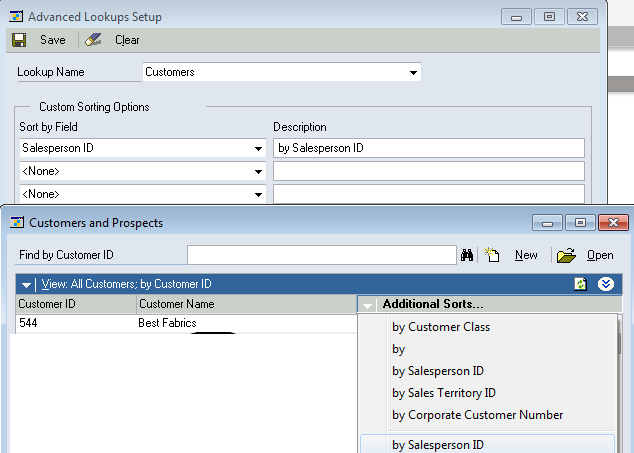 This is very simple yet important feature that's been added to GP 2010 Customers & Prospects Lookup. 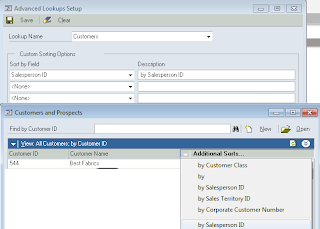 One of the common pain points with Dynamics GP Lookups is that they show both Active and Inactive Vendors. For people who deal with lots of Inactive customers and vendors, this is a problem. 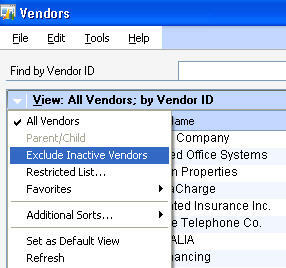 In Dynamics GP 2010 – you can use the “Exclude Inactive Vendors” option to address this. Dynamics GP Lookup Lists TOO Long? I have just got out of a WEBEX session with one of our clients. For those of you who have not had the pleasure of WEBEX yet this is a desktop streaming technology we use to take over your workstation to assist with support call resolution. Do you have a lot of inactive vendors and customers clogging up your lookup lists?